Ghosh added a rally will be organised on that day from the BJP headquarters at Murlidhar Sen Lane to Shyambazar five-point crossing. “BJP supporters who were attacked on March 3 when the party organised bike rallies to observe Sankalpa Divas, will also take part in the rally,” he said. 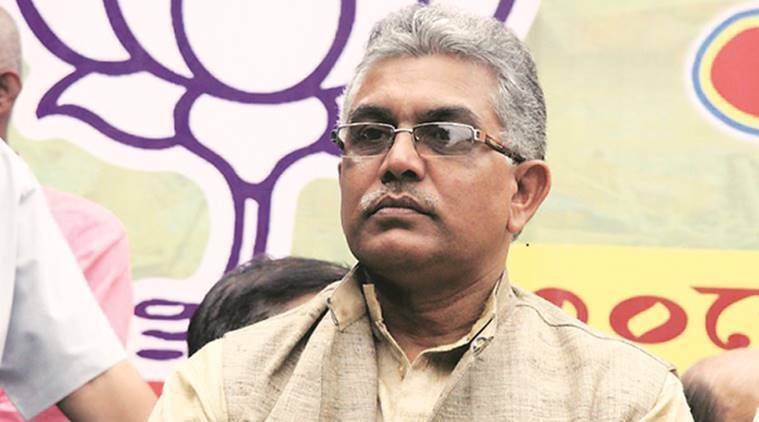 State president of the Bharatiya Janata Party, Dilip Ghosh, on Tuesday defended party national president Amit Shah who recently stirred a controversy stating that “over 250 terrorists” were killed in the air strike by the Indian Air Force (IAF) in Balakot, Pakistan, on February 26. On Sunday, Shah claimed that “more than 250 terrorists were killed in the IAF attack on Jaish-e-Mohammed training camps”, triggering a row with opposition leaders, including West Bengal Chief Minister Mamata Banerjee, asking for data on the toll. On Monday, Air Chief Marshal BS Dhanoa said that the IAF was not in a position to confirm the number of deaths. Speaking at a press conference on Tuesday, Dilip Ghosh cited a report by the National Technical Research Organisation (NTRO), which said that about “300 mobile phones with active signal strength were there in the facility”. “People shouldn’t allow such cheap politics at the cost of country’s respect. Leaders who do this will face the wrath of the people during the Lok Sabha elections,” Ghosh added. The state BJP chief also said that on International Women’s Day on March 8, the party will felicitate the family members of the martyrs in West Bengal. “We will talk to women who lost their kin Pulwama and Uri attacks,” said Locket Chatterjee, BJP’s Mahila Morcha president.